Sleep health has become a hot topic in recent years with a particular focus on several common sleep disorders, and prioritizing optimal sleep habits at the individual, family, school and societal levels. This shift has been supported by recent scientific findings, one receiving the 2017 Nobel prize demonstrating that sleep duration, timing and quality are essential for development, learning and health. This talk will focus on basic concepts and recent science to set the stage for practical approaches to improve sleep health for parents and children. Dr. Lewin is a pediatric psychologist, sleep specialist, and licensed clinical psychologist. He is Board Certified in Sleep Medicine and Behavioral Sleep Medicine and Associate Director of the Pediatric Sleep Medicine and Director of the Pulmonary Behavioral Medicine Program at Children’s National Medical Center and Associate Professor of Pediatrics at George Washington University School of Medicine. 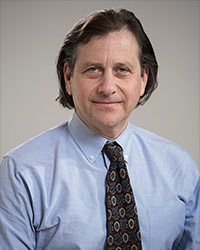 Dr. Lewin received his Ph.D. from Rutgers University and completed pre- and post-doctoral fellowships at the Yale Child Study Center and the Western Psychiatric Institute and Clinic at the University of Pittsburgh School of Medicine. Ongoing studies investigate the impact of medical illness and psychiatric disorders on sleep and development. His clinical and training programs in sleep medicine and pulmonary behavioral medicine provide a wide range of services to patients with acute and chronic sleep and respiratory disease.